Wax Track Gallery International Inc. 501 C-3 is a Cultural Services home-rule municipal corporation situated in Hays, Travis and Williamson Counties (the "City") and Wax Track Gallery International a/k/a Wax Track Gallery, a non-profit, tax-exempt organization, who also serves in many circumstances as a "Contractor" of services to PUBLIC, PRIVATE, AND GOVERNMENT INSTITUTIONS. We consult with commercial, government, or private organizations and complete all phases of creating commemorative statues / monuments, extending planning to the total surrounding plaza. We create exhibitions. We conduct exhibition research: prepare, and restore photos, include labeling and inscriptions, and document creation. We create archive information files for each photo, document, or 3D item. 3D item framing /casing, and mounting. We survey floor space, and create floor plans determining correct placement of exhibitions, and lighting. We engineer installation of exhibitions, and removal (If exhibition is temporary). maintenance historical indoor and outdoor exhibition projects. How do we help you plan and complete your historical or durable projects? no cost consultation to review plans for research, exhibition, and industrial art construction projects. generation of highly researched budget outlining non-variable costs. We stay within your budget. We are well known for being dependable, following a budget, communicating with primary contractors, following, architect / engineers, finishing on time, and delivering a professional project. In addition we design, and construct small plaza projects, fountain additions, tables and benches. 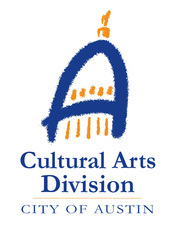 Wax Track Gallery International has been funded in part by the City of Austin, and Texas Commission on the Arts since 1998. The Cultural Arts Division believes an investment in the Arts is an investment in Austin’s future. Visit Austin at NowPlayingAustin.com.